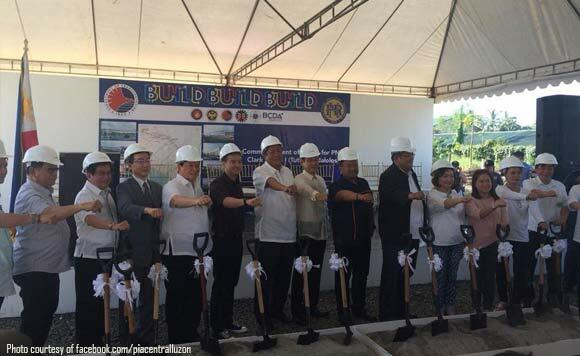 Senators Joel Villanueva and Joseph Victor “JV” Ejercito, who both hailed from Bulacan, attended the recent groundbreaking ceremony of the first phase of the Manila to Clark Railway Project. The Tutuban to Marilao PNR station, which the government plans to finish by 2021, will shorten the travel time between the two points, from 2 hours to 35 minutes. “In the Build Build Build, what follows are more jobs. There will be a huge demand for carpenters, construction workers. It will create more jobs for our citizens,” Villanueva said, referring to the Duterte administration’s flagship infrastructure program. Ejercito, meanwhile, said that the PNR Clark Phase 1 project is not only expected to ease traffic flow in Metro Manila, but also to expand growth and development from the National Capital Region to other parts of the country. According to the Department of Transportation, PNR Manila to Clark project can accommodate up to more than 300,000 passengers. The station for Phase 1 is located at Socorro, Marilao Bulacan and will be 38 kilometers long. Phase 2 covers Clark International Airport and new Clark City. It will be operational by 2022.